How many of us have lost (and then regained) the same 20, 30, or 50 lbs? 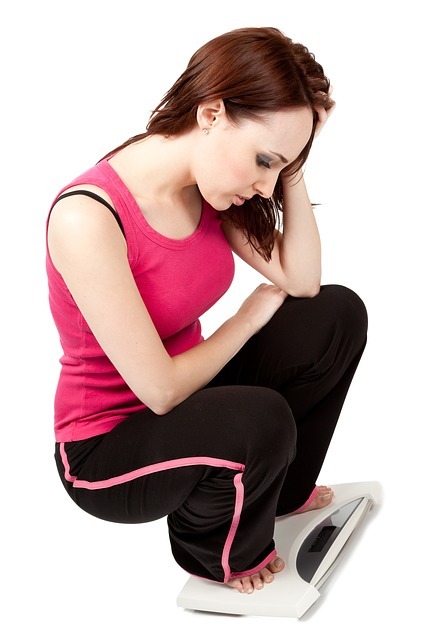 In fact, many of us have lost and regained the same weight multiple times. Weight loss is attainable. We just buckle down and do what needs to be done to lose the weight. Since we know how to lose weight, why can’t we keep it off? The real secret to maintaining the weight loss is psychology. Many of us go on a diet to lose weight. We restrict calories and exercise. We eat healthy foods, avoid sugary foods, and decrease portion sizes. Those that maintain their new lower weight make this a habit. In order to be in that group, we need overhaul our thinking and manage the psychology of weight loss. We need to figure out our triggers for over eating and eating poorly so we can make permanent changes. One way to keep the weight off is to change the reason we want to lose it in the first place. Are we losing weight to gain acceptance from others or silence our self-critique? Instead, let’s maintain a healthy weight so we can live longer, have a higher quality of life, maintain our health and avoid sickness. Most of all it is to feel good. How often have you eaten a sugary snack and felt terrible afterwards with a sugar hangover? What about that big bowl of pasta that left you bloated, gassy and uncomfortable? Making new associations with food and changing the internal dialogue about what will make you feel better is key. Just that subtle change in thinking allows us to be successful instead of failing at a diet. Reframing is one tool in the psychology of weight loss toolbox. Affirmations are another tool in the psychology of weight loss that we can use to lose the weight AND keep it off. Focus on what’s important in life. Visualize ourselves as we want to be (eating right, looking and feeling healthy). Whatever we focus on, is what comes into our life. Every day, reflect on our successes. Remember to treat ourselves as we treat others. Be kind to yourself. We’ve all had MANY more SUCCESSES than failures. When we focus on our successes, we reinforce the idea of success. Success breeds success. Remember that weight maintenance is a marathon not a sprint. We need to be mindful of what we eat and why we eat. Do we eat because we’re hungry or for another reason; habit, boredom, sadness, happiness? Often we eat our feelings instead of feeling them. What we did in the past, no longer works. We need to find our triggers for over eating and/or poor eating habits and consciously make choices. This tool in the psychology of weight loss tool kit may be the most important. Changing our eating habits is no different than any other change we make. It takes a persistence and determination. Let’s learn from our past, both our failures and successes. Dr. Phil’s “Ultimate Weight Loss Solution; the 7 Keys to Freedom” and an article in Psychology Today on mustering motivation and inspiration are two good sources to help you better understand the psychology of weight loss. Find support and validation needed to achieve and maintain your goals and institute those behavioral changes that can transform your life as well as a doctor who understands the psychology of weight loss that can help you lose weight and keep it off.